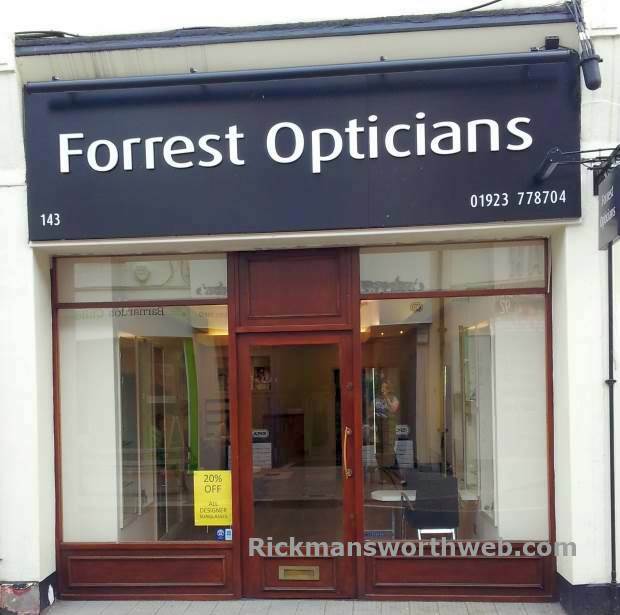 Forrest Opticians is a family run business on Rickmansworth High Street which has built a very positive reputation since 1990. It offers all eye care and eye sight services and has a wide range of contact lenses, glasses and sunglasses. There are two sight testing rooms allowing a variety of services such as retinal imaging and visual field testing. With this new technology comes the ability to test for disorders such as glaucoma and diabetes. All age groups from 4 years to the elderly can be catered for. Forrest Opticians can also offer home visits and caters for ocular emergencies.